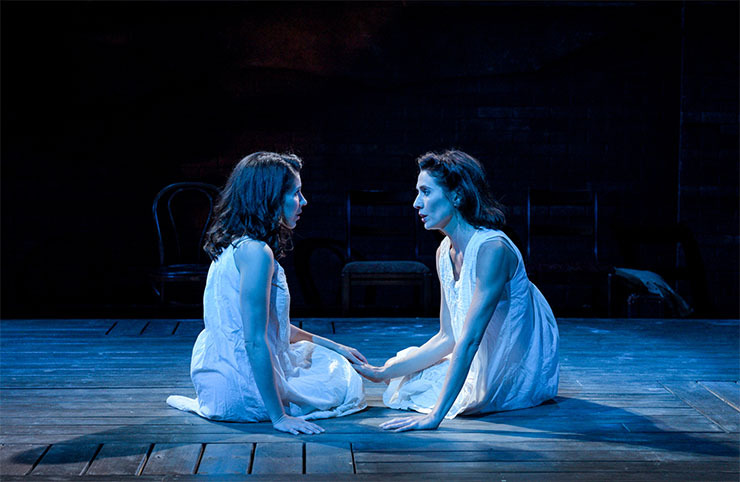 Palm Beach Dramaworks' production of "Indecent" won in a number of categories including Best Production of a Play, Best Ensemble, Best Lighting Design, and Jay Russell won in the Best Supporting Actor in a Play category. In an evening that began with a song and dance tribute to two of South Florida's most ardent theater supporters and talents, Iris Acker and Tony Finstrom, both of whom passed away this past year, Monday night's 43rd Carbonell Awards at the Broward Center for the Performing Arts' Au Rene Theater was full of wonderful performances, heartfelt speeches, and plenty of awards. Many tipped their hat to South Florida, especially Michael McKeever, the South Florida playwright honored with the George Abbott Award who currently has "After" playing off-Broadway, a show that premiered at Miami's Zoetic Stage. He proclaimed a few times: "When I'm in New York, people keep asking me what we are doing down here," referring to so many original works that are being produced here then going on to other places, including South Florida playwright Christopher Demos-Brown's "American Son," which played Broadway's Booth theater this past season. 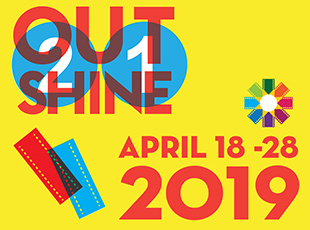 In between the awards presentations, video displays, sometimes featuring interviews with directors, spotlighted the plays vying in the Best Play category. For the musicals, live performances held an audience filled with South Florida actors, directors, and others who present or are involved in theater, spellbound. The South Florida Theater League held their after party inside the lobby of the Broward Center for the Performing Arts, complete with a deejay playing music for dancing, plenty of food from Chinese to Italian fare prepared by the center's catering staff, and models covered in gold that looked like female versions of the Oscar award. But the Carbonells are really about one thing. The awards. "Indecent," a haunting drama about a Jewish theatre troupe and its devotion to a controversial play, and "Memphis," an exuberant musical about the racial divide in early days of rock and roll, took their respective places in South Florida theatrical history as Best Play and Best Musical. 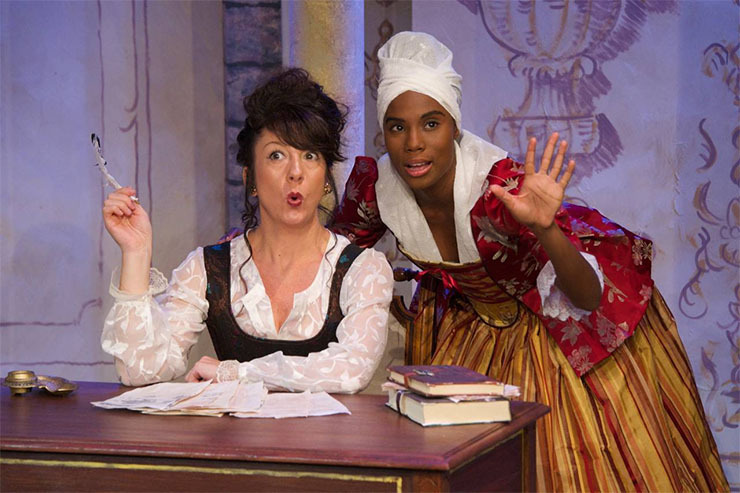 It’s been seven years since Palm Beach Dramaworks in West Palm Beach has taken home one of the top honors, and it scored big with two shows. "Indecent" garnered five Carbonell Awards, the most of any show produced in 2018. 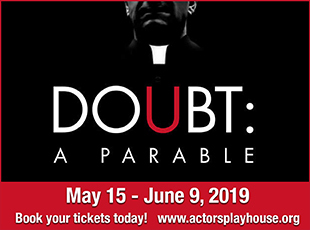 In addition to Best Play, Jay Russell won Best Supporting Actor, Play; Paul Black won Best Lighting Design; Brad Pawlak won Best Sound Design; and the show won Best Ensemble. Palm Beach Dramaworks’ summer musical, "Woody Guthrie’s American Song" earned two Carbonell Awards: Best Director, Musical, for Bruce Linser; and Best Musical Direction for Sean Powell. 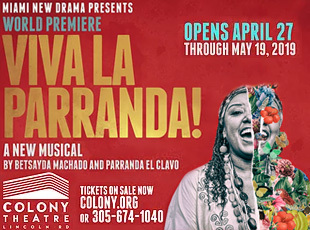 This is the first time Slow Burn Theatre Company has won the Carbonell Award for Best Musical, and it’s the first time in eight years that a theatre in Broward County has won in this category. 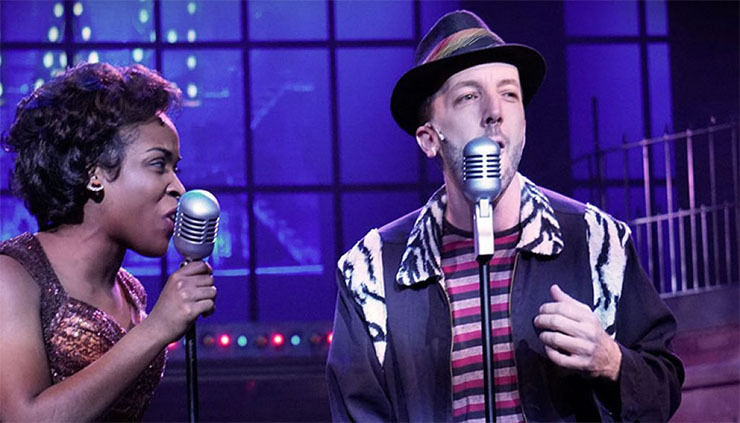 Slow Burn won four awards for two of its musicals: In addition to Best Musical, "Memphis" won two other awards, Best Choreography for Patrick Fitzwater and Best Actor, Musical, for Brian Golub. 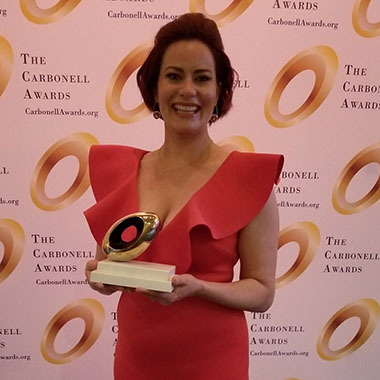 The company’s other Carbonell Award went to Anna Lise Jensen for Best Actress, Musical, for "The Bridges of Madison County." Slow Burn Theatre Company won for Best Musical for "Memphis." And Brian Golub, right, won as Best Actor in a Musical for his role in "Memphis." Zoetic Stage won four Carbonell Awards for three of its shows. Christopher Demos-Brown won the Best New Work category for his play "Wrongful Deaths and Other Circus Acts," which also garnered the Best Director, Play, award for Stuart Meltzer. 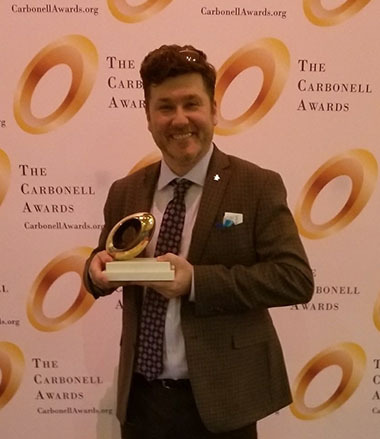 Zoetic’s other two Carbonell Awards went to Caleb Scott, Best Actor, Play, for "Dancing Lessons"; and Jeni Hacker, Best Supporting Actress, Musical, for "Fun Home." 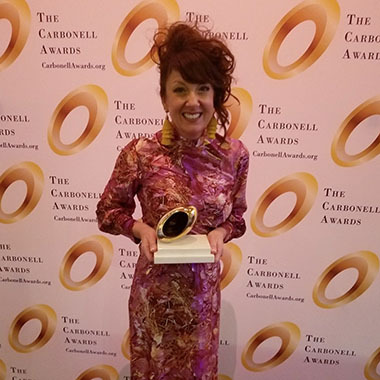 Anna Lise Jensen took home a Carbonell as Best Actress in a Musical for her starring role in "Bridges of Madison County. In addition to Palm Beach Dramaworks’ seven Carbonell Awards, two other Palm Beach County theaters earned honors: Theatre Lab in Boca Raton, the professional resident company of Florida Atlantic University, won its first-ever Carbonell Awards this year. Their two Carbonell Awards went to Dawn C. Shamburger, Best Costume Design for "The Revolutionists"; and Niki Fridh, Best Supporting Actress, Play, for "Tar Beach." This is Fridh’s second Carbonell Award---she won Best Actress, Play, last year for "Grounded" at Thinking Cap Theatre. The Wick Theatre, also in Boca Raton, garnered the Best Supporting Actor, Musical, award for Michael C. Walters in "The Pirates of Penzance." While four of the Carbonell Awards bestowed upon Miami-Dade County theaters went to Zoetic Stage, Miami New Drama, which produces its shows at the Colony Theatre in Miami Beach, won its first-ever Carbonell Awards for two of its shows: Betsy Graver won Best Actress, Play, for "Queen of Basel"; and the twin brother team Christopher and Justin Swader won Best Scenic Design for "One Night in Miami." All four of Broward County’s Carbonell Awards went to Slow Burn Theatre Company. The prestigious George Abbott Award for Outstanding Achievement in the Arts, awarded to an individual (or team) who has contributed significantly to the artistic and cultural development of the region, was presented to McKeever, actor, scenic designer, co-founder of Miami’s Zoetic Stage, and a prolific playwright whose 30 produced plays have all premiered in South Florida, with many going on to productions nationally, internationally, and off-Broadway. The Ruth Foreman Award, named in honor of pioneer theater director and producer Ruth Foreman, to recognize contributions to South Florida theater development by an individual or group, for singular achievement and/or career contributions, was awarded to Juggerknot Theatre Company, for "Miami Motel Stories," which explores Miami’s colorful history with short plays by playwright Juan C. Sanchez, through an innovative, immersive theatrical experience. Tanya Bravo, Juggerknot Theatre Company’s founder and artistic director, accepted the award on behalf of her company. The award for Best Choreography went to Patrick Fitzwater for Slow Burn Theater Company's "Memphis." In addition to recognizing the stars of today, the Carbonell Awards’ mission has always been to award scholarships to the talent of tomorrow in the fields of theater and journalism. 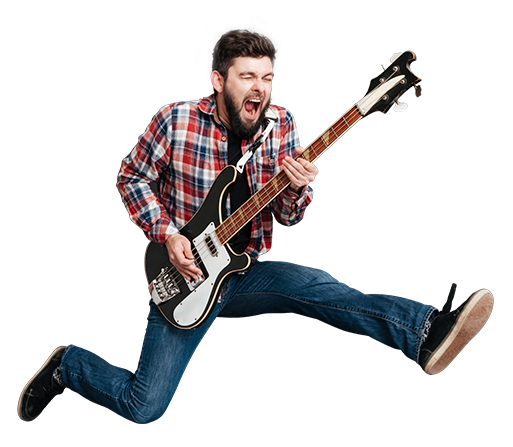 The Jack Zink Memorial Carbonell Awards Scholarships awarded a total of $6,000 in scholarships to three high school seniors, one from each county, who were selected after a rigorous, merit-based selection process. The scholarships were awarded to Julia Dale (Broward County) who attends Western High School in Davie and will study musical theater and vocal performance at the Steinhardt School at New York University in New York City; Bailey Hacker (Miami-Dade County) who attends New World School of the Arts and plans to pursue a BFA in theater with a focus on acting and directing; and Maura C. Wilson (Palm Beach County) who attends Alexander W. Dreyfoos School of the Arts in West Palm Beach and plans to pursue a BFA in theater and technical design, specifically scenic and lighting design. Niki Fridh won as Best Supporting Actress in a Play for "Tar Beach" at Theatre Lab. Last year, she won Best Actress for starring in "Grounded" at Thinking Cap Theatre. This 43rd annual Carbonell Awards was sponsored by the Actors’ Equity Association, Adrienne Arsht Center for the Performing Arts of Miami-Dade County, Bee Free Media, Broward Center for the Performing Arts, Broward Cultural Division, Carbonell Family, Rita & Jerome Cohen, Cultural Council of Palm Beach County, CultureForce, Knight Foundation, Kravis Center for the Performing Arts, Miami-Dade County Auditorium, South Florida Cultural Consortium, South Florida Theatre League, South Miami-Dade Cultural Arts Center, Mark Traverso, WLRN Public Media, WTVJ-NBC and WOW MKTG.